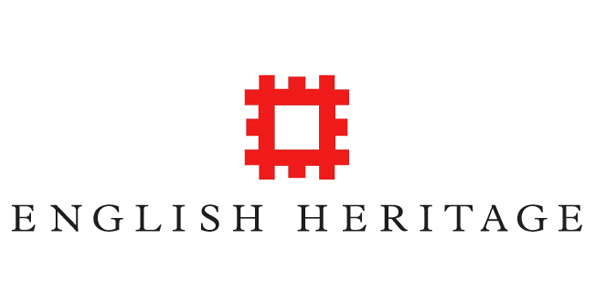 Get out and about this February and let the kids blow off steam in an adventure in history with activities, trails and much more at English Heritage sites across the country, with the chance to travel back to Roman or Tudor times or even explore fairytale adventures. Warm up in the winter months with a hike around this most famous of battlefields. There’s plenty to see and do for little ones, including the chance to take on our quest around the historic abbey and win a prize. There’s plenty to explore at Belsay, from the unique Quarry Garden to the ruined medieval castle, with spectacular views from the top of the tower. Seek out the English fairytales hidden around the grounds in this fun half term trail. Head back in time for activities on a medieval theme. Transform yourself into a noble lord in squire training, and even try on armour in our academy for budding knights and princesses at Bolsover Castle. Enter the magical world of Lewis Carroll in this enchanting trail around the gardens at Brodsworth Hall. There are six characters to find along the paths that lead visitors through the gardens. There’s a certificate prize for all who complete the trail. Are you willing to join the Imperial Army this half term? Join us at Chester’s Roman Fort on Hadrian’s Wall where youngsters can train to be Roman soldiers with hands on activities, from drills and weapon skills to craft activities for little ones. Calling all super sleuths, secret agents and investigators! Sharpen your detective skills with hands-on training in disguise and cracking codes and clues. There’s plenty to see and do for a whole day out at Dover Castle too, including the chance to venture down into the Secret Wartime Tunnels and discover dramatic wartime activity brought to life. Play at being king or queen in this fantastic coastal castle. Can you find Henry VIII and his six wives and uncover the grisly truth behind the untimely deaths of Anne Boleyn and Kathryn Howard? You’ll need to keep your head to complete this trail and receive your certificate! Explore the gruesome side of history with hands on activities and plenty of time travelling fun for children. Meet Thomas Turlis, the Public Hangman, equipped with gallows, ropes, and the other ‘tools’ of his gruesome trade. Be amazed as he recounts the nature of crime and punishment during the Georgian period, when death was the punishment for over 200 offences…you could be hanged for stealing something worth as little as a shilling – equal to 5p in modern money! Follow the Crime and Punishment Trail too – there is plenty to keep children entertained. Let off steam in the secret grounds and gardens of Wrest Park. Travel through time and solve our time travelling clues to win a prize. How much do you know about Wrest Park’s history? Come and visit us this half term and find out! Put your skills to the test this February half term with our special trails for families. Join in the fun and find the clues to win a tasty treat, while also letting off steam by exploring fascinating historic places including Tintagel Castle, Beeston Castle and Kenilworth Castle.